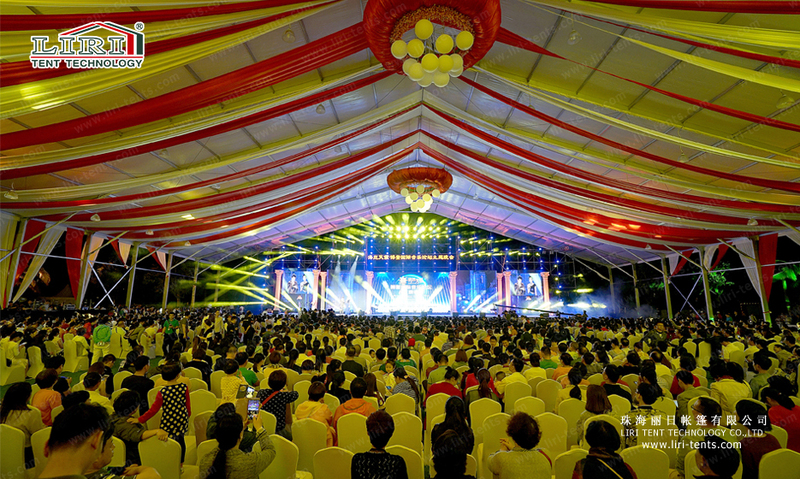 2000 people event tent for music festival from Liri Tent. 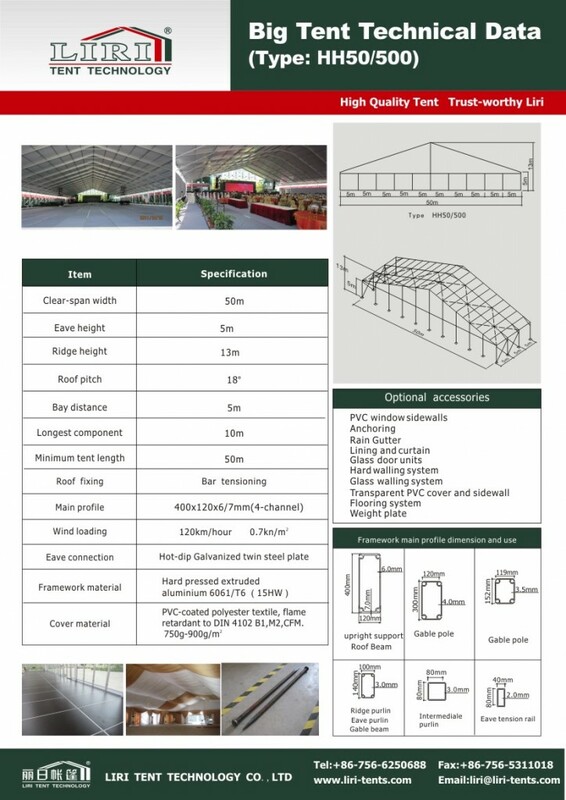 The main profile size of 2000 people event tent for music festival is 400x120x5mm. 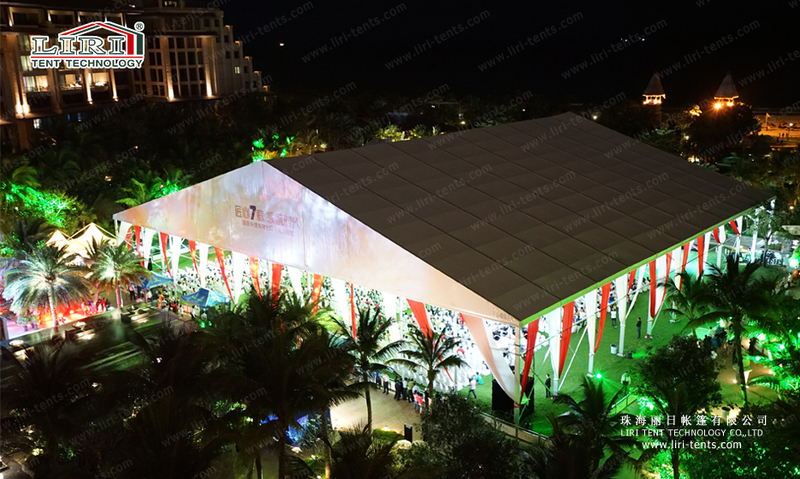 What’s more, Liri 2000 people event tent for music festival is a modular structure that can be increased or decreased in bay distance of 5m according to the clients’ requirements. The main frameworks (upright support and roof beam) are manufactured with high impact extruded anodized aluminum (6061/T6). The PVC covers use PVC-coated polyester textile and flame retardance which is based on the European standard din 4102b1, M2. The greatest show in this Music Forum – Boao music BBS. 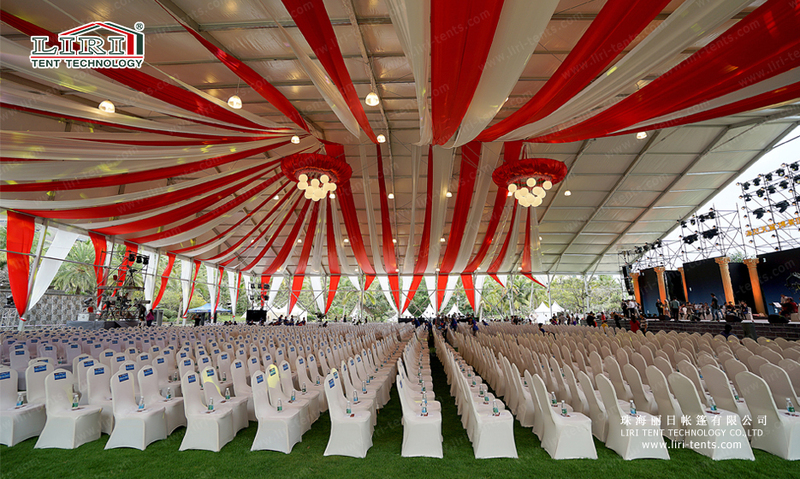 As the appointed 2000 people event tent for music festival supplier, Zhuhai Liri Tent Technology Co., Ltd finished a 2000 people capacity party event tent in advance,and this tent curtain is in white color and red color alternately, which make this Musice Forum Event Tent looks brightness and full of vitality. Here are some photos of 2000 people event tent for music festival for your reference. Beautiful 2000 people event tent for music festival will make your event more attractive!! Pls contact us for a competitive price.